a gas has a volume of 1400.0 milimeters at a temperature of 20.00K and a pressure of 101.3kPa. What will be the volume when the temperature is changed to 40.00K and pressure is changed to 50.65kPa?... Boyle showed that the volume of a sample of a gas is inversely proportional to its pressure (Boyle�s law), Charles and Gay-Lussac demonstrated that the volume of a gas is directly proportional to its temperature (in kelvins) at constant pressure (Charles�s law), and Avogadro postulated that the volume of a gas is directly proportional to the number of moles of gas present (Avogadro�s law). 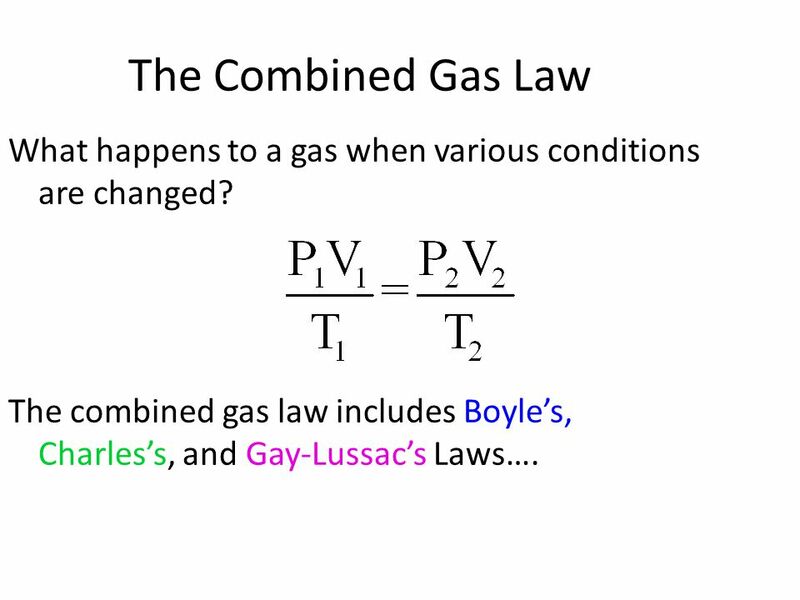 The ideal gas law is the most useful law, and it should be memorized. If you know the ideal gas law, you do not need to know any other gas laws, for it is a combination of all the other laws.